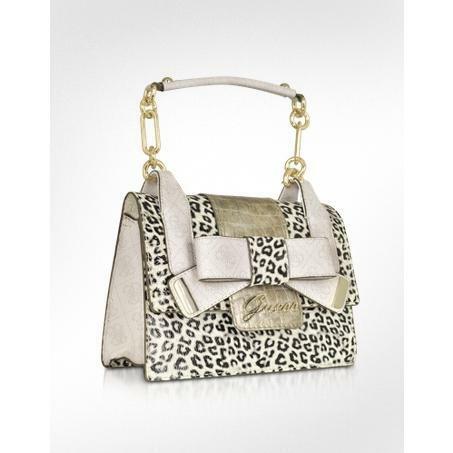 A feminine animal print bag that will definitely draw attention by Guess. Cheetah printed patent leather exterior with logo vinyl trim. Oversized bow detail lays on top of crocodile print vinyl. Gold-tone hardware. Available in Gold and Pink.